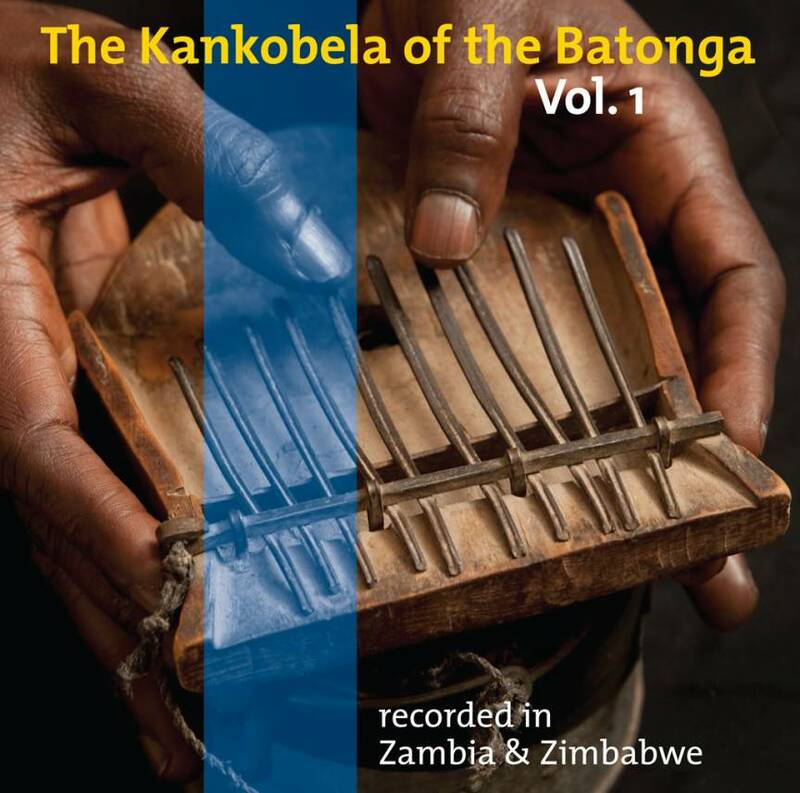 The kankobela is the thumb-piano of the Batonga people, who live in the Zambezi Valley on both sides of Lake Kariba in Zambia and Zimbabwe. A solo instrument played by men, to express their innermost feelings in songs about a range of subjects from spiritual to humorous. But it is dying out, there are no young players of this beautiful instrument. On this album we present seven surviving masters, with otherworldly songs, deep buzzing and mesmerizing time patterns. Tongatronics – but without any electricity! Total time: 69'18". 20 page booklet. Tracklist: 1. Wakali Perfume, by Aaron Nchenje, 2. Utamujayi Mwana, by Aaron Nchenje, 3. Baneene Mundilaye, by Edward Mun'gombe, 4. Kondipa Ambe Ndimuntu Nyokwe, by Edward Mun'gombe, 5. Nchembele Musimbi Wangu, by Nyeleti Mukkuli, 6. Saliya Ndakuleka by Andrew Munyumbwe, 7. Jaya Mwaamu, by Simuna Mugande, 8. Lwiimbo Lwamuka Mufwu, by Simuna Mugande, 9. Njokalai, by Benson Siamundyoli, 10. Bbandu Bbandu Mweendo, by Benson Siamundyoli, 11. Amundipe Dyonko, by Manjele Siabaswi, 12. Nkaambonzi Beenzuma, by Edward Mun'gombe, 13. Nkobuli Busimbi Bulikomoyo, by Simuna Mugande, 14. Maila Mutaalimi, by Andrew Munyumbwe, 15. Twafwa Nzala, by Andrew Munyumbwe. The video clip shows Benson Siamandyoli, who plays on tracks 9 & 10 on this cd, in his home village. Afropop 2009 (USA): "This is the first of two planned cd volumes, and it offers a rich introduction into a hidden world of African traditional music. But this cd is more than a gift to African music scholarship and preservation. It is filled with some of the funkiest, hippest sounds you'll find on any cd out this year." Rootsworld 2010 (USA): "This disc is easily the most endlessly enchanting collection of music to come from the Mother continent in some time, and it achieves this without studio polish or even a hint of western influence. The gentle grooves here are quite honestly impossible not to love."